Many coppiced woodlands are neglected and under-managed and require restoration to ensue the survival of the coppice stools. Coppice restoration can improve the economic viability of a woodland and help woodland biodiversity particularly woodland flowers that are in decline in many under-managed woodlands. 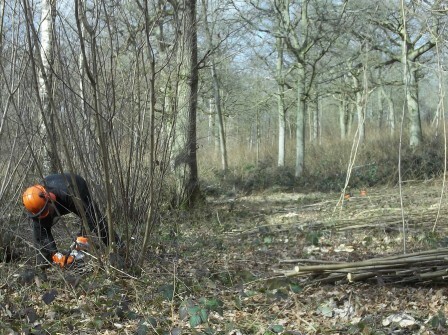 Coppice restoration is both hard and skilled work and your local coppice worker will have the equipment, skills and understanding needed to work within the specific restraints of a coppice woodland. Woodland grants may be available in your area and your local coppice worker should be able to provide help and advice on their criteria and availability.